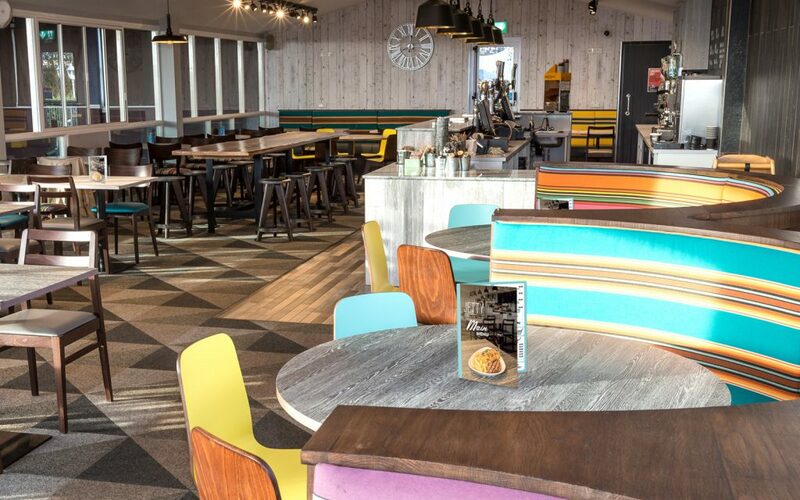 The Jetty Lounge, Bar and Terrace is the largest restaurant within Beverley Holidays holiday park in Paignton, Devon. The restaurant was set to improve their catering experience with new menus at the heart of the re-launch. 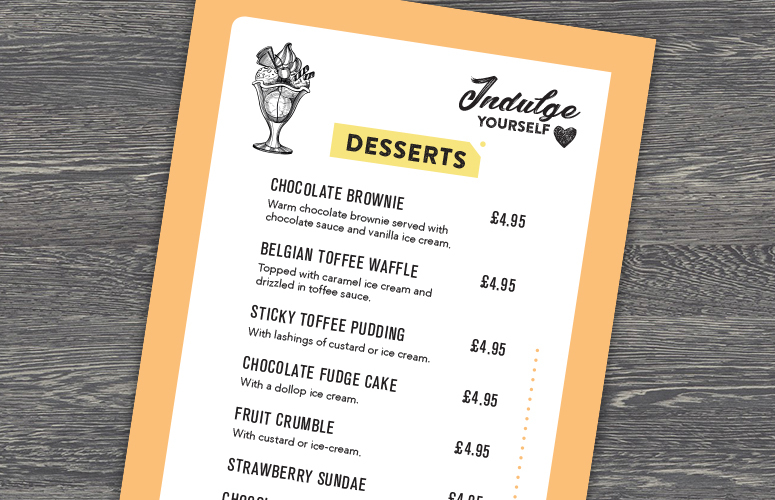 We were contacted by the team at Beverley and were briefed on designs for a new main, coffee, dessert and kids menus. 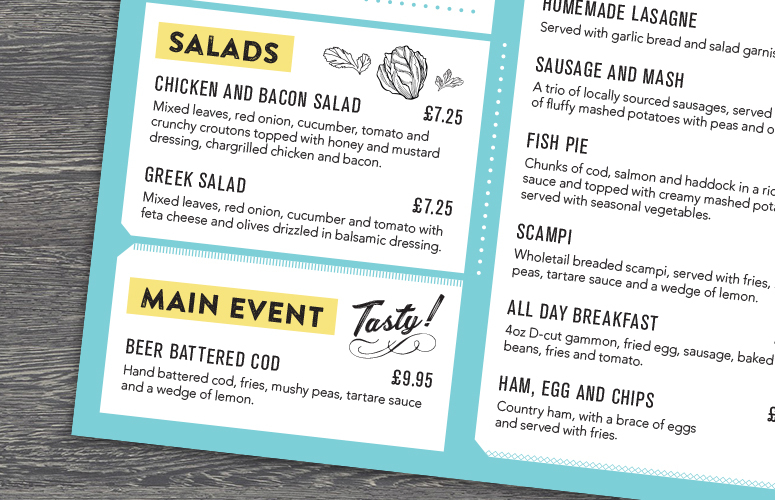 Working to a tight deadline we produced 4 menus for both print and digital use. 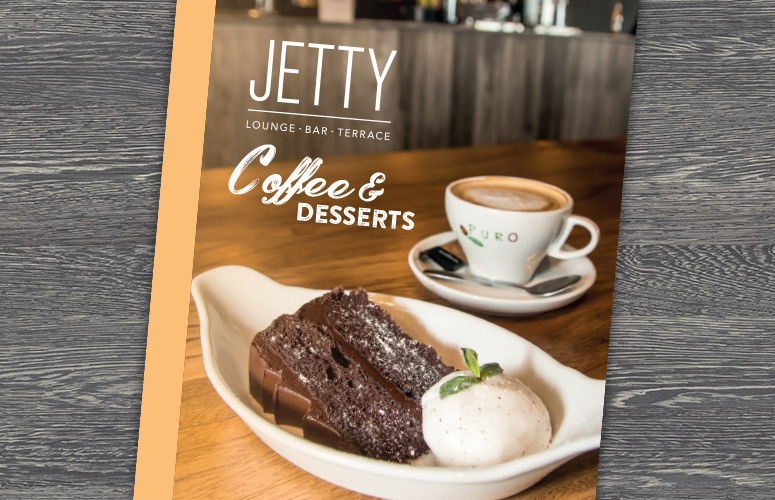 We were delighted to work with Fruition on our brand new menus for our newly-refurbished Jetty Lounge, Bar & Terrace here at Beverley Holidays. 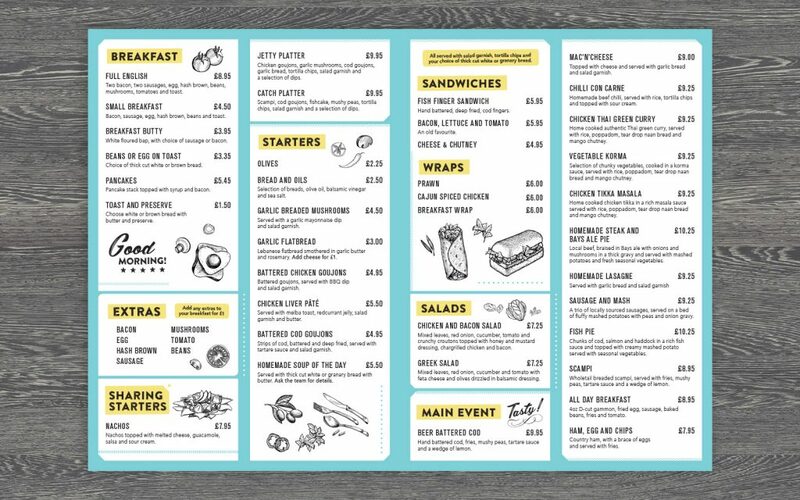 Their exceptional design skills have elevated our menus to a whole new level and both staff and customers alike have remarked on how professional and polished the menus look for 2018. They turned the project around in lightening speed despite the tight deadlines they were given and we look forward to working with them again on future design work. 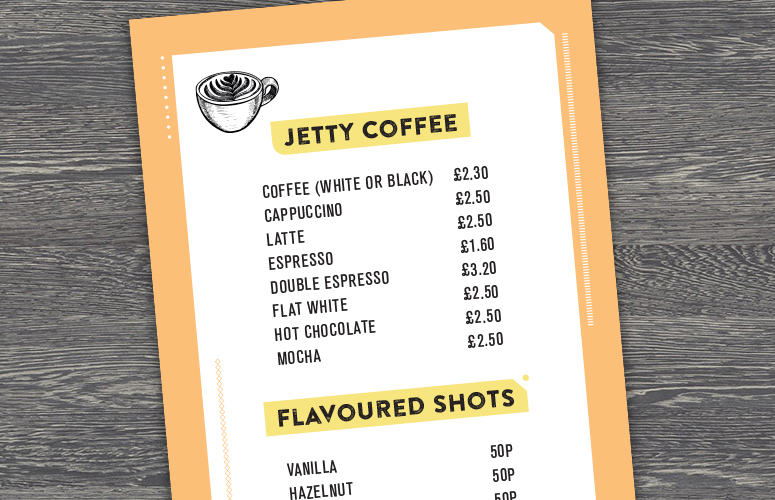 The re-launch was planned due to Beverley Park’s plan to take the food and beverage offer in-house. 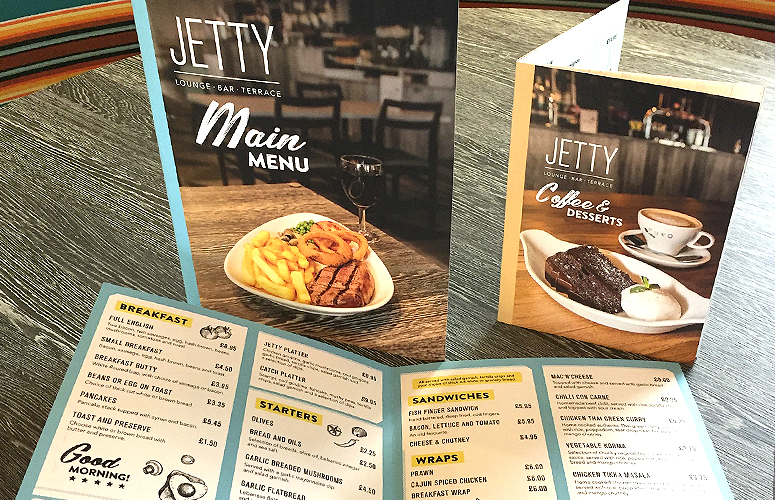 A fantastic dining experience for people of all ages, the new menus provide a refreshed look and feel for the Jetty. The combination of custom typography and bespoke illustrations were central to the design. The colours used within the designs were inspired by the finished used as part of our interior design scheme. 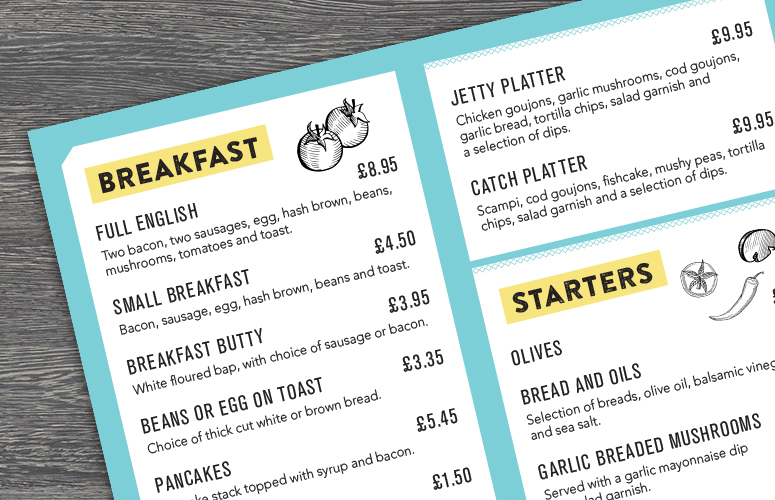 In need of new menus for your restaurant, cafe, pub or bar? Get in touch today to find out how we can help you studio@fruition-design.co.uk or call 01803 295 959.